On the way to church yesterday morning, about 3 miles from home my wife looked out into a corn field and said "look at those birds!" I turned and looked, and immediately recognized the tall, lanky, bottom-heavy, red masked Sandhill Crane. I slowed the car down to observe. I was ecstatic, 12 Sandhill Cranes in the middle of nowhere Indiana. Satisfied with the unique ground sighting, usually they just fly high overhead, we continued on. 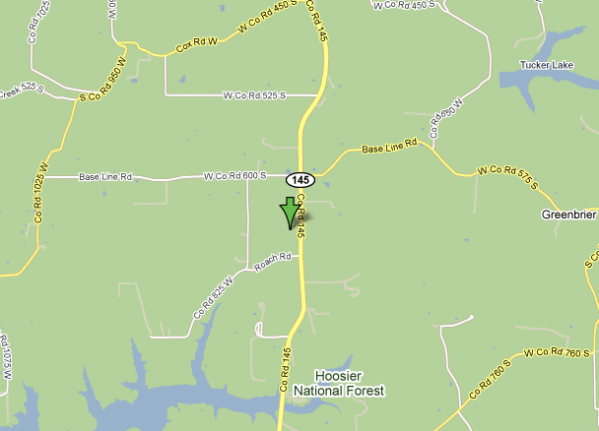 We turned off our county road onto highway 145 heading South. There it was! Just few miles on the right in another large cornfield we saw a huge herd of Sandhill Cranes. We stopped and I did a quick section count and estimated 200-300+ 4-foot birds standing in a cornfield. Maybe even more over a little hill there. The worst thing was I didn't have a camera on me, but I have other witnesses who can verify the sighting. Sandhill Crane sighting location on March 6th at 9:00 AM. I planned on sharing three bird indicators of spring I noticed in the previous week. 1) The Robins are coming out in full force. 2) The Song Sparrow is singing again. 3) And I saw Canadian Geese flying north again. Little did I know God had another surprise for me that morning. 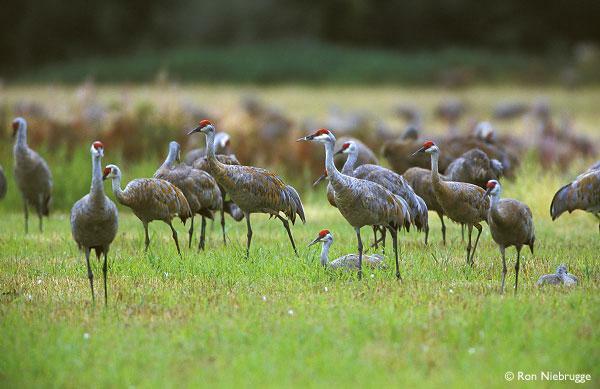 Sandhill Cranes at eNature.com - Learn more about the Sandhill Crane and listen to their calls. That is so great! Thanks for sharing. Today is march 1st 2015. Me and my girlfriend just witnessed 1000's of these birds around the salem exit on I-65. Was pretty amazing. My wife just saw a few fly over in French Lick today. Let the migration begin.